Gerflor’s new innovative design flooring – makes all the difference! Home/Flooring News/Gerflor’s brand new innovative design flooring – makes all the difference for commercial spaces! Today’s architects, designers and clients are looking for modern, stylish designs from floor coverings manufacturers when furnishing premises such as hotels, leisure complexes or retail outlets. Gerflor’s research into customer’s requirements has resulted in the launch of a new range of Creation luxury vinyl tiles and planks. This modern product offering includes seven unique design effects within three strikingly modern trend concepts which enable Gerflor’s customers to create stylish interiors which enhance the look of any new or existing commercial building. The Creation Collection is a new generation of flooring which is specifically designed for hardworking commercial spaces. The design possibilities of the Creation Collection are expressed through seven exclusive concepts which include Creation Mix where one box of flooring can include up to three widths of planks to offer a realistic parquet effect while Creation Paint looks like new raw wood. The look of denim is applied to a wooden plank finish for the Creation Jean’s Spirit while Creation Contrast boasts a mixture of light and dark stained woods to create a contracting and authentic look. Creation Concrete brings the look of concrete in flooring to life, the Piano Finish is a glossy effect applied to the flooring and Creation X-tra Long Effect comprises longer planks that will maximize the space available with planks longer than 1.3m. The Collection boasts exceptional characteristics including more than 90 realistic wood and mineral finishes in a wide array of formats, grains and colours. The range is distinguished by its aesthetic appeal, with bevelled edges on many of the planks and tiles for a realistic finish. 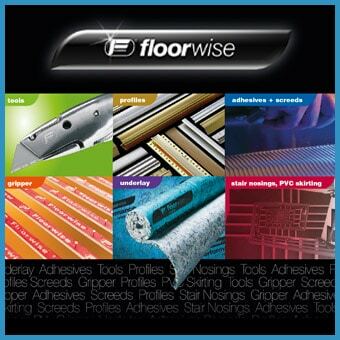 There is improved hygiene with low maintenance within the range due to a polyurethane surface treatment (PUR+). The wear layer is 0.7mm and for added durability, the overall thickness is 2.5mm. Finally, Creation is an environmentally-friendly, 100% recyclable solution. Urban draws its inspiration from the unique atmosphere conveyed by the great cities of the world: New York, Paris, London and Tokyo. Urban’s industrial décor offers commercial space the feel of the city by enhancing the appearance of raw materials such as concrete. Gerflor’s range includes conventional, structured, rodded and bush-hammered concrete, as well as an entirely new concept: concrete strips in contrasting hues. The fashionable Urban range consists of tiles and planks (square or rectangular) in 23 different finishes and is ideal for office environments. A lasting trend that focuses on the essentials and works with a new kind of modesty and simplicity that is less ostentatious. The desire for authenticity finds expression in new materials and colours. To illustrate this trend, Gerflor makes use of the essence of oak, beech and walnut together with other kinds of rustic wood. The Authentic range consists of rectangular tiles and planks (square or rectangular) in 32 different finishes for fitting out various types of professional premises, especially businesses. Priority is given to the sober, Scandinavian look using natural, mineral and plant materials. Nature plays with marble and aged concrete effects, like painted wood washed up on the shore and weathered by time, the sun and the spray of the sea to give an understated and timeless elegance. The fashionable Nature line is based on 34 different finishes with square or rectangular tiles and planks that fit in smoothly with any type of commercial space.